10 DECOR TIPS THAT WILL MAKE A ROOM LOOK AMAZING! 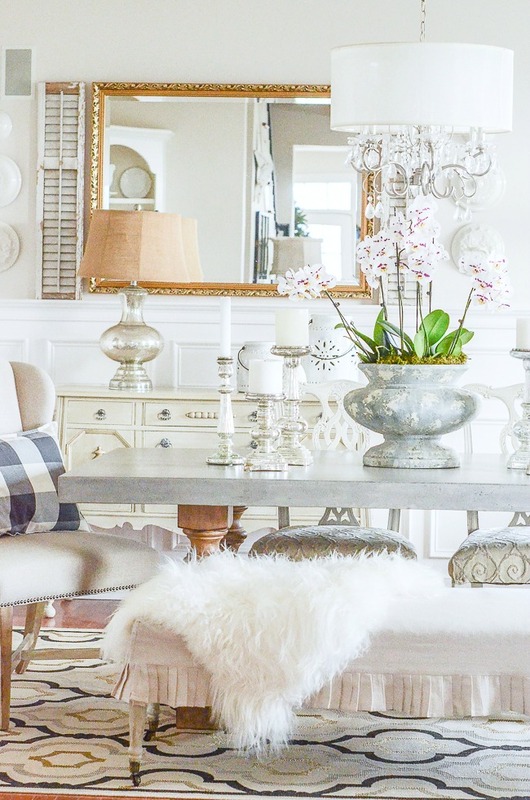 Today I’m sharing some of my very favorite decor tips. 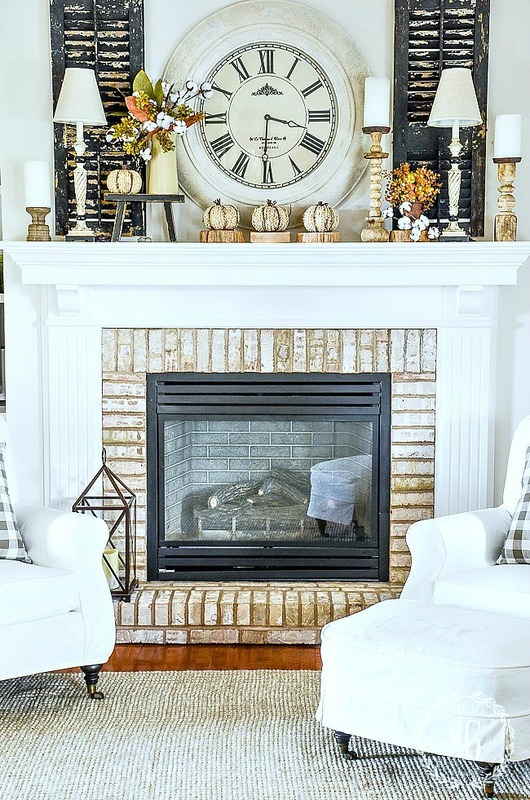 Take a look at 5 MUST KNOW TOPICS FOR BEING A FABULOUS HOME DECORATOR too! My head swims with decor ideas all the time!!!! So much so that turning my mind off is often a no-go especially when I try to sleep! You don’t need to be a licensed interior decorator to have a beautiful home that reflects you and your lifestyle you just need to “borrow” tips from other like minds and use them in your own way in your home! 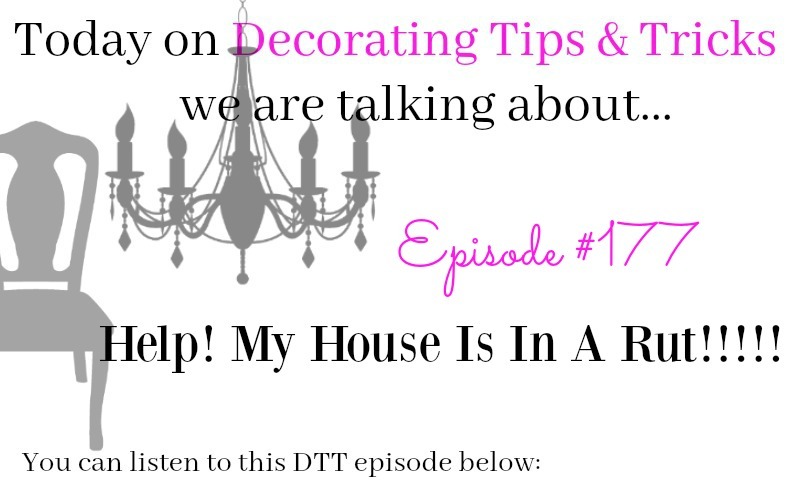 You can listen to any or all DTT episodes HERE. I hope you find these TIPS very useful and use them in your home!!! 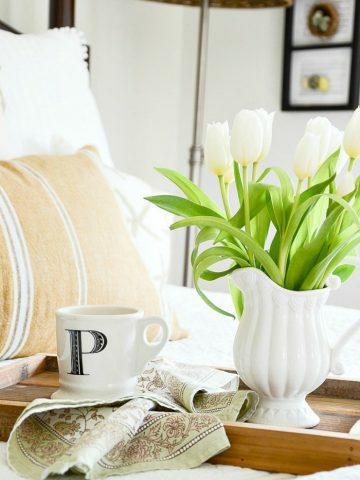 I think this is the decorating idea I love the most and probably use the most in my home. Mixing more expensive items with bargains is my favorite way to decorate. Like my Curlacue chest with a big bargain chippy lantern. LOVE the look. Or mixing an upscale mirror in my dining room with old chippy shutters and white chamber pot lids! Also mixing refined with a bit of rustic knocks down the stuffiness of a room and makes it more welcoming. If left to my own natural design tendencies I would decorate quite formal. But formal can look staid! And I want my home to look beautiful, approachable and comfortable. So I’ve learned the high/low mix is quite magical! Check out your own rooms. And see if the high/low mix will work for you! Every room in your home should have texture. Texture is the ability of our eyes (through our brains) to feel the different surfaces in a room. Rough, smooth, scratchy, soft, lofty, shiny, hard, nubby and a so much more. Don’t overlook texture or a room will feel flat. And mix up texture! Your eyes, brain, and room will thank you! Pattern brings life, interest and personal style to a room. 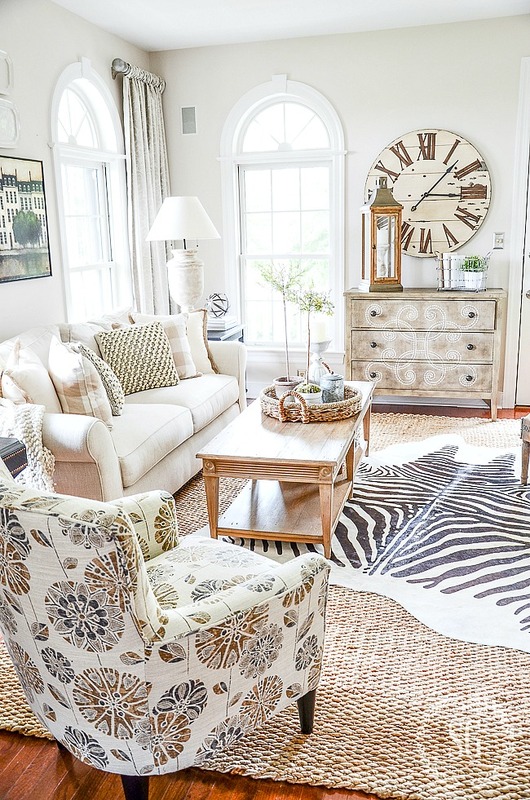 I love mixing pattern even in my most neutral rooms. 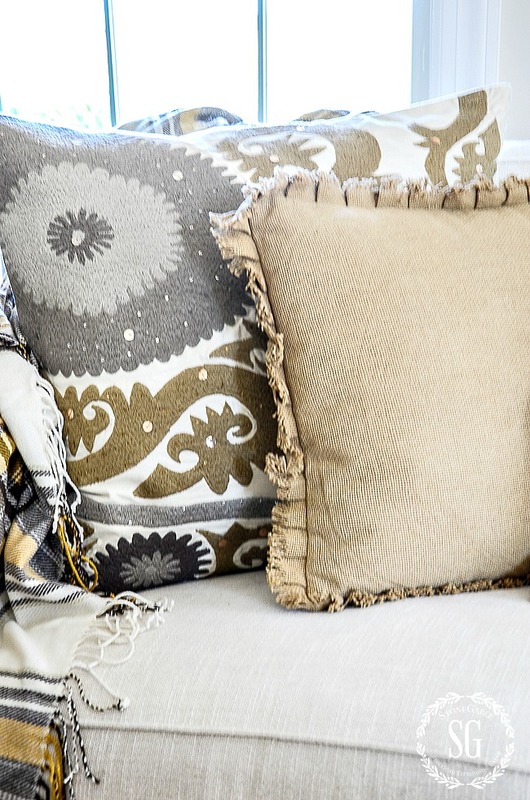 If you are a little shy about mixing patterns pillows and throws are a good place to start. A good rule of thumb is the 60/30/10 rule. Sixty percent your favorite pattern, 30 percent a complimentary and different scale pattern and 10 percent an accent pattern. Keep them in the same color family for a no-fail mixed pattern look. Each room should have a focal point. Some rooms the focal point may be a total standout and other rooms it may be more subtle. The focal point is usually the first thing you notice when you walk in a room. It calls attention to itself and a room is usually decorated around it. It’s fun to decorate and sometimes I don’t quite know when to stop. I’ll just keep decorating and embellishing! So, when I’m decorating a room I must go back and edit, edit, edit!!!!! I’ve been looking at my home a lot lately and thinking I might be moving out some furniture to give more “breathing” space to what I have! I like less and larger than more and smaller. I’d take a big wall clock over a grouping of small pictures any day! Or one large spectacular vignette over a collecting of things scattered about. You can see a post about when less is best HERE. 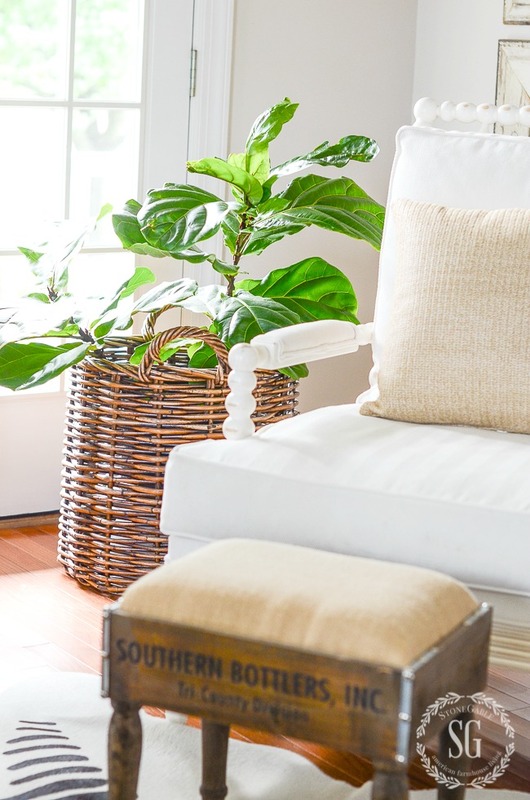 Decorating is all about translating your personality and style into your living space. So fill it with what you love and things that make it easy to live in. Nothing is sadder than going into someone’s home and not really knowing who lives there. If your home lacks personality it is probably yours! It is so important that my home reflects me and how we live. And it’s also imperative that StoneGable feels welcoming and authentic to us! I love classic furnishings but I also love a touch of whimsy! It’s important to keep a clean and well appointed home but it should be comfortable at the same time. Make comfort primary! If you knock on my door on any given day you will probably find me in comfy clothes and an apron. And that’s perfect for our not-so-perfect home. We live very comfortably here and love to sprawl out to watch tv or read a book or play a family game. Even when we are entertaining and the table and menu are on the formal side, we want our guest to be relaxed and very very comfortable! Style and comfort can go hand in hand! 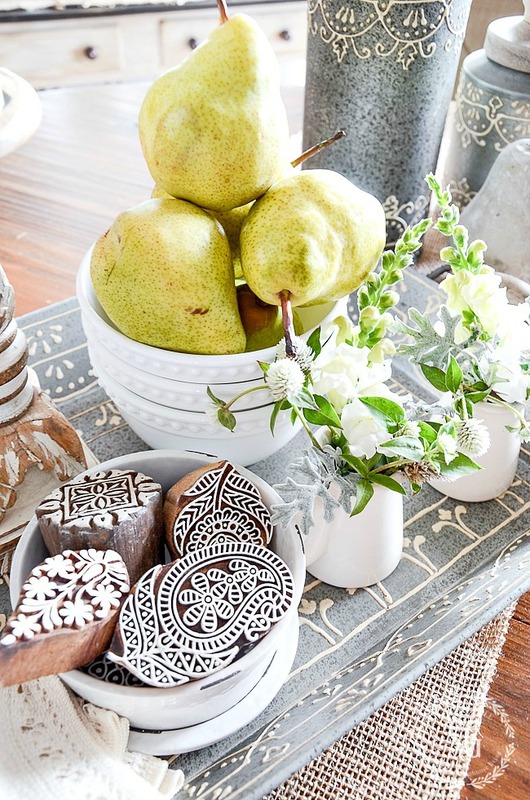 Layering decor is not always the most natural decorating thing we do. But it’s probably the most important skill you can acquire. And you CAN acquire it! Seriously, study rooms you love and take notice of the layers in the room. Then practice on a room in your home! 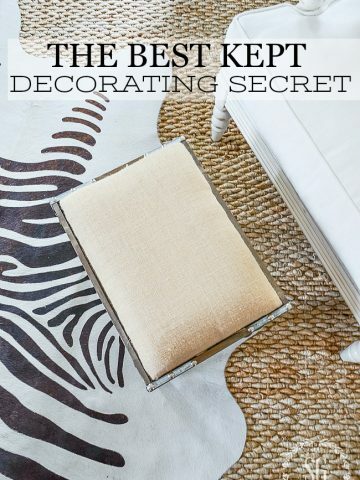 One of the ways to really add beauty and interest to a room is to layer decor! Oh, PLEASE mix design styles when you decorate. It will give your room personality and make it one of a kind. And don’t we all want fabulous one of a kind rooms in our homes? Yes, I know we do! 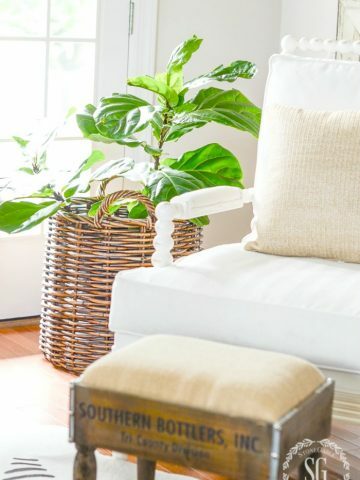 My style is Traditional or Classic American styling mixed with a little refined farmhouse, industrial, and a nod to a bit of cottage. Any one of those decor styles alone would be soooooo boring!!!! And not me. I love an eclectic look. Or at least sort of eclectic! You can mix so many styles. Try the 80/20 rule. Eighty percent of the style you have or love and twenty percent of a fun style to shake things up a little! 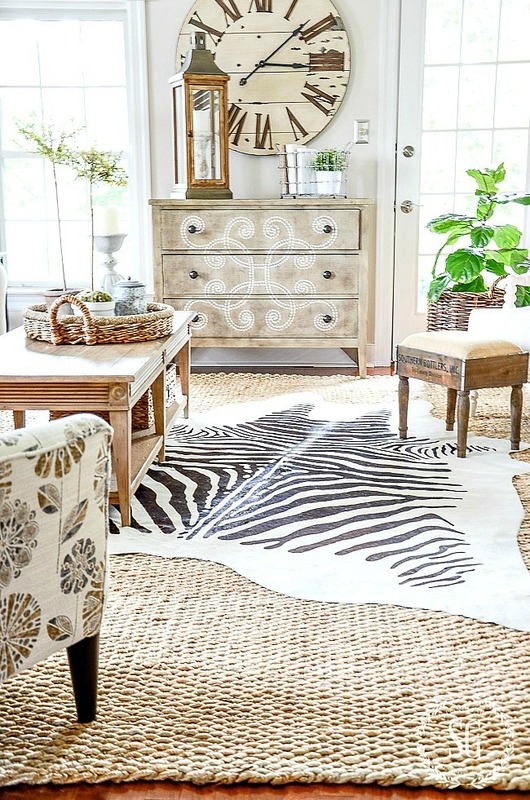 Learn how to know your decorating style… and then amp it up HERE. Living things bring life to a room. Just fact! 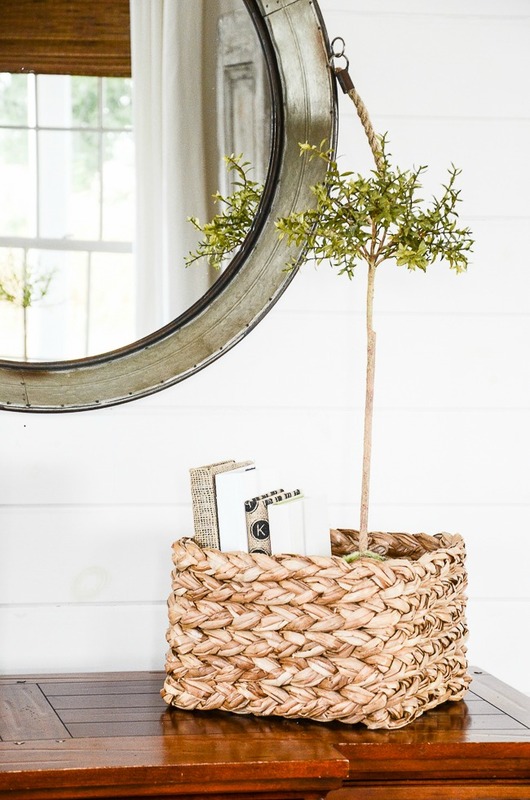 There are so many ways to bring organics to a room. My favorite ways are cut flowers, one big bold plant or a bowl of organic balls like willow balls. Make sure each room has something life-giving! 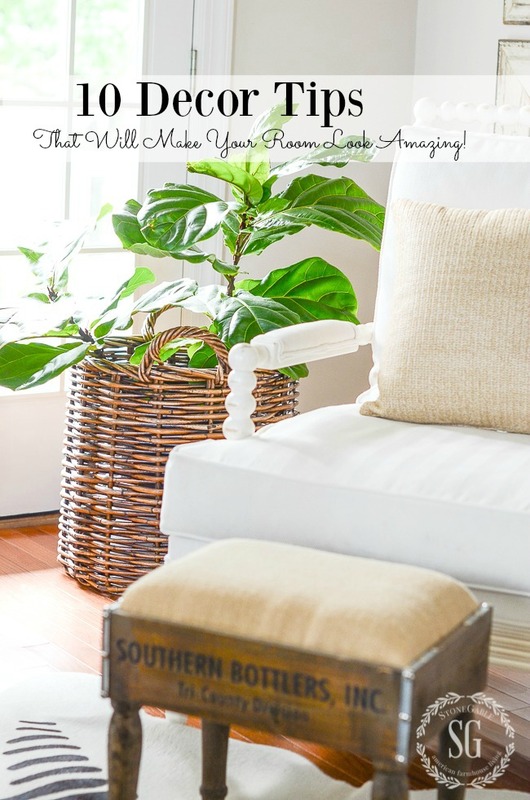 Now these tips will for sure help you create a room that is amazing! 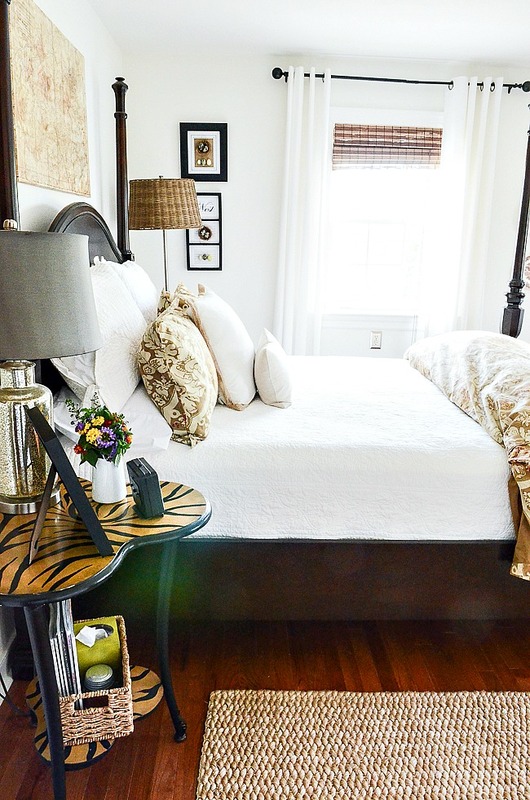 Do you have a decor tip you swear by? Please share!!!! Pillows are a blessing and a curse when deciding placement. I have a couch and matching loveseat. Do I mimic what I do on both pieces. If my main first pillow is a white fur (which I have two on the couch and one on the loveseat and my solid pillow is next, do I also do three? Then a different accent on each? Help!!!! I want it to look well done, but not stuffy. Don’t think so hard Diana! Depending on how long your sofa is you can use 2 or three pillows on each end. Make the ones on the ends the biggest and the ones next to that a little smaller. The second and third pillow can be the same size. I’d use the white fur and the solid and then some print… maybe a geometric that picks up the color of the second pillow. Then how about putting a large lumbar pillow in the print on the loveseat and call it a day! Easy-peasy! I always enjoy your decorating ideas and tips. You have a natural talent for putting it all together. Your decorative style is always fabulous. Every space, every thing is place just so, and I love it. Thans again fr these wonderful tips. I love listening to your 30 minute program Decorating Tips & Tricks. Most of my friend aren’t into the creativity of decorating & I feel like I am with inspiring, great friends who love to decorate just like me. When I tune in, I am right there with ya’ll laughing & agreeing with all the practical ideas. Thanks for sharing & the fun! Keep up the good work, chicks! Victoria, looks like you are kindred spirits with us!!!! Keep listening and laughing and learning! Hugs! 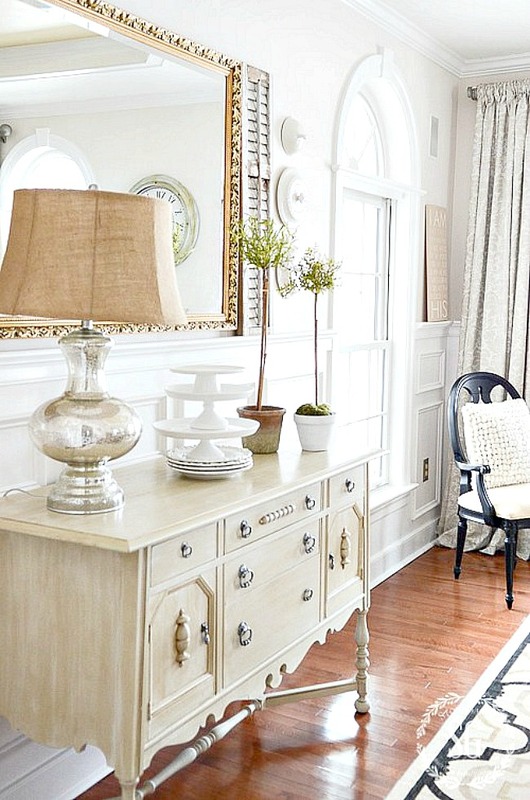 These 10 tips are great for the novice decorator or the trained professional! Thanks for pulling them all together for your readers. I am trying to make my home a bit more casual. I, like you, enjoy adding a touch of whimsy to a room or something unexpected. Great post..thanks for the tips. I love your idea of editing and how you feel your rooms need to breathe. I always feel that way after the holidays when I put everything back in the boxes until next year and the entire house looks more spacious, clean, and airy. Have a great weekend ! Hi Yvonne! I think your name Yvonne Cecilia sounds so European! I am sure it is very special to your parents. Your posts are so informative and the pictures are beautiful. I really like that you give links to past posts that I missed before following you; I especially enjoyed the one about layering. After making gradual changes to my home from traditional Georgian to light and airy, I now feel that I am at a crossroad with so much neutral. I am using pale aqua with neutrals but feel it is getting too bland. Any ideas on how to add a pop of color without it looking like I just found it at a yard sale? Thanks for all your great ideas. You have such classy style! Yvonne, I always always love your posts. They are full of creative ideas and beautiful photos. Keep up the lovely blogging. You have definitely mastered the art of decorating! I love everything you’ve done with your beautiful home! Thank you so much for sharing all of your tips! Love your style. Your natural rug in the living room. what is it called? I always look forward everyday to see what wealth of inspiration you have Yvonne. Your the best! Have a great day! I’m interested in the way you did the small curtain to the side of the arched windows? We have windows like that. Is there a certain method to doing that look? I had such a time deciding what to do with those windows. I asked another interior design friend to give me here opinion and we both agreed to treat the two front windows as one and hang curtains on the outside of each window. The third window that stands alone on a perpendicular wall left without a curtain. I think these windows are tricky. Hope this helps you Kathy. Love all your great tips, ideas and guidelines! Thank you for sharing your inspirations and the beautiful photos! I just wanted to say thank you for all your effort and tips in decorating. It does not come natural for me and you have helped me tremendously. 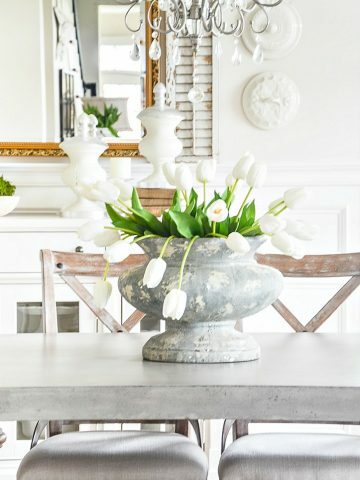 I subscribe to many decorating blogs and you are by far my favorite! Wow, Kim! thanks so so much! You are simply amazing! You have given me so much inspiration and knowledge regarding home decor and care. I believe my home does reflect my personality but I don’t know if I follow some of your tips… which gives me something to consider! I am always looking for ways to make changes and make it better. Thank you for sharing your expertise! I so look forward to your posts and learning more.